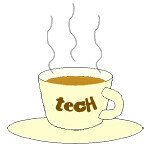 2012 « Tech bytes for tea? I hope everybody has had a fabulous 2012. 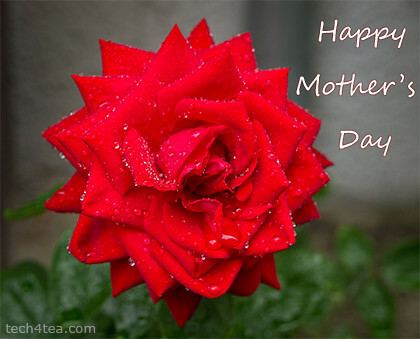 Here’s to all mothers. Happy Mother’s Day! And here’s a little bit of history that’s surely a testimony to Mothers and the womenfolk amidst us. This photo of a rose was taken in a little German town called Weinsberg in the southern state of Baden-Württemberg. 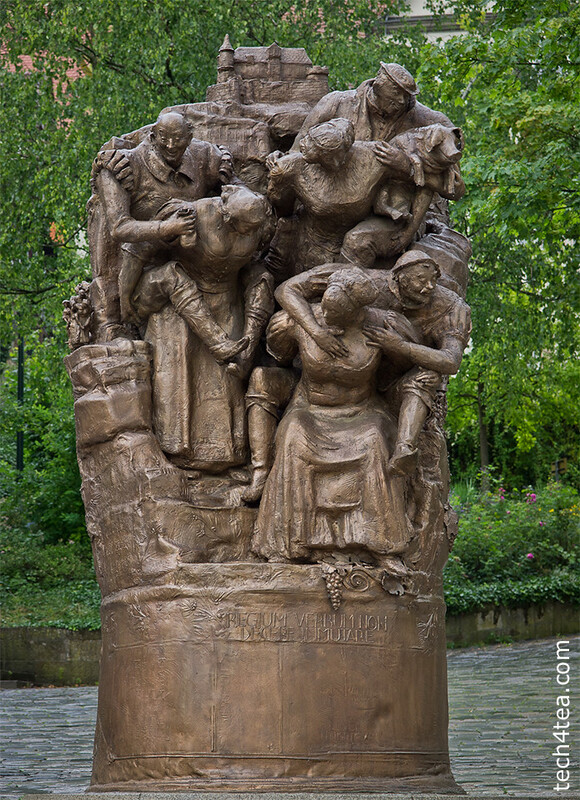 Statue commemorating the bravery and loyalty of Weinsberg's womenfolk. Weinsberg means “wine” in German and this quaint and sleepy little town, which is noted for its wine, has only 11,800 inhabitants. The family had detoured there to visit its castle ruins during our drive last year from Heilbronn to another scenic town called Schwäbisch Hall. While we were having a picnic at Weinsberg, an ancient couple who lived in Weinsberg came over to chat with us. They told us a very interesting and touching bit of history about the town and its castle, which is somewhat relevant today since it’s Mother’s Day. Between our non-existent German and their English, this was what we understood, which we later corroborated on Wikipedia. In 1140, the castle was besieged by Konrad III. Eventually, it had to surrender. Apparently, the women of the castle were allowed to go free and to take whatever they could carry on their backs. Their men! In so doing, these gallant women saved the lives of their fathers, husbands, brothers and sons, since the king adhered to his word. These women became known as treue Weiber (“loyal women”), and the castle (today’s ruin) is called Weibertreu due to this incident. 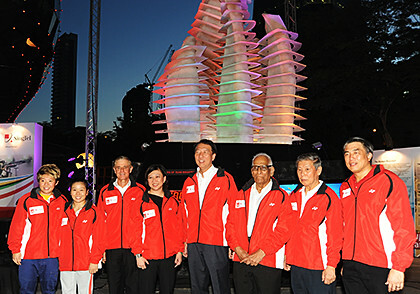 SingTel has just unveiled a 7.5m tall sculpture – the “SingTel Flame of Support”, in bustling Orchard Road to garner moral support for Team Singapore in the upcoming 2012 London Olympic Games (27 July to 12 August). 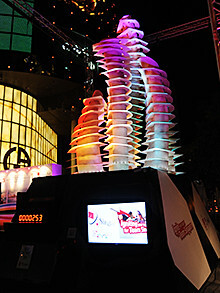 Singaporeans can express their support of Team Singapore by pressing the button that lights up a portion of the sculpture. Deputy Prime Minister Teo Chee Hean (Minister for Home Affairs, Coordinating Minister for National Security and President of the Singapore National Olympic Council); Chua Sock Koong, Group Chief Executive Officer, SingTel; athletes Tao Li and Lim Heem Wei; as well as SNOC officials in from of the sculpture. 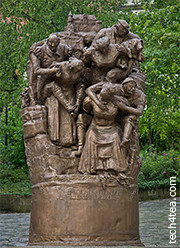 The 7.5m sculpture is located outside ION Orchard. It weighs 1,500 kg and consists of more than 3,300 LED lights. Designed by Jon Griffin of Brandspeed and the main contractor Light10 Industries, the iconic sculpture comprises of five wave-like structures designed to resemble exuberant flames, each representing one of the five Olympic Rings. The interactive structure aims to ignite the nation’s passion in a collective declaration of support for Team Singapore. If there are 200,000 presses of the button, the entire Flame will become fully lit. The unveiling of the statue by Deputy Prime Minister Teo Chee Hean (Minister for Home Affairs, Coordinating Minister for National Security and President of the Singapore National Olympic Council) kicks off the 90-day countdown to the Games. Hopefully, we can garner the 200,000 pledges of support by the Opening Ceremony of the Games on 27 July. 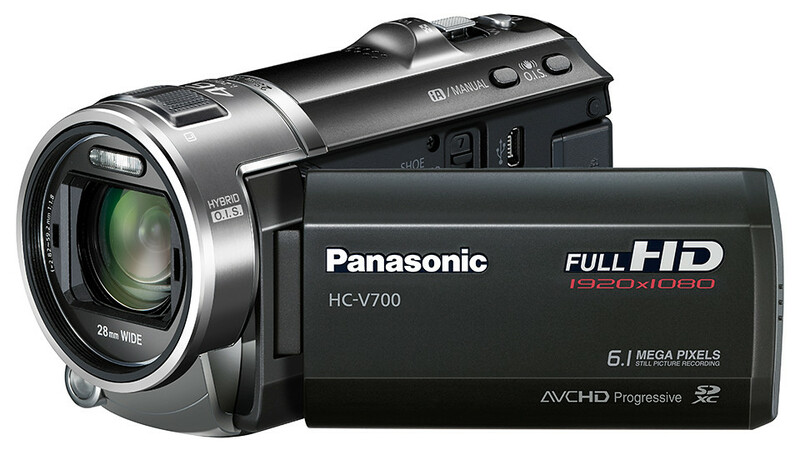 For camcorders, Panasonic has a line-up of 9 new models that will hit the shelves in April. These comprise the HC-X900 & HC-X900M, HC-V700, HC-V500 & HC-V500M, HC-V100, HC-V10, HX-WA20, and HX-DC2. 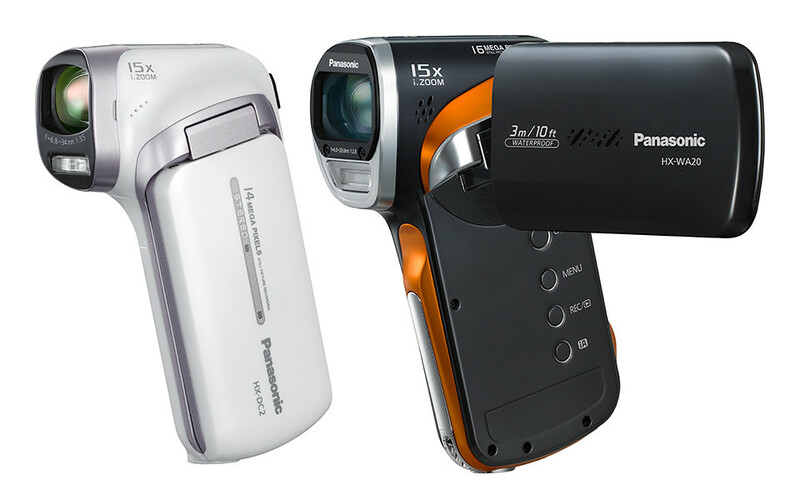 Panasonic's Summer/Spring line-up of camcorder ranges from the compact HC-V10 to the flagship HC-X900M. 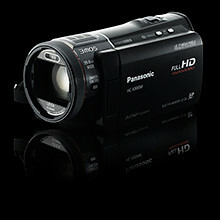 Panasonic’s nine new camcorders for Spring/Summer 2012 features advanced lenses; high sensitivity sensors; sophisticated Optical Image Stabilizer (O.I.S.) capabilities; and powerful image-enhancing engines. HD Writer video editing software is included with all models. The re-engineered F1.5 LEICA Dicomar lens of the flagship HC-X900 and HC-X900M enables bright image rendering, high corner-to-corner resolution and Nano Surface Coating Technology to significantly reduce ghosting and flaring, which minimises distortion and degradation of contrast. The advanced 3MOS Sensor is capable of high-speed processing of massive number of pixels – approximately equivalent to four times the pixel count of Full-HD – using pixel shift technology with submicron accuracy, to produce high-detailed images with excellent colour reproduction. The newly-developed, ultra-high speed Crystal Engine Pro II can also dramatically reduce noise by 40% compared to the previous models to record clear, stunningly beautiful images even in dim lighting. The new Hybrid O.I.S.+ corrects horizontal, vertical, yawing and pitching movements made by the hand during recording; while its five-axis correction capability takes care of any rolling motions resulting from walking. 3D shooting is enabled by the 3D Conversion Lens, creating the realistic depth, texture and dimensionality of 3D. 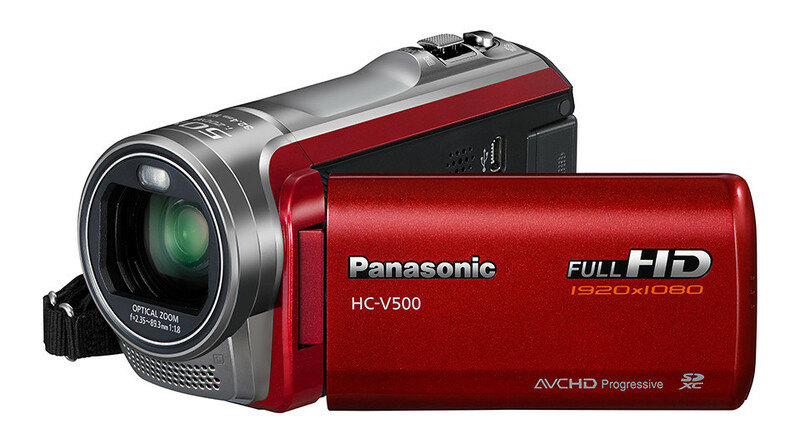 The HC-V700 features a 28mm wide angle for recording in tight spaces such as indoors. The 46x Intelligent Zoom extends ultra-telephoto shooting beyond the range of the 21x optical zoom; while the HYBRID O.I.S.+ suppresses blurring across an entire zoom range even for handheld zoom shots in high magnification, to ensure crisp and beautiful images.. Images taken in 2D can also be converted to 3D with the new 2D to 3D Conversion Function. Intelligent Zoom is up to 50x, using the LSI “Crystal Engine PRO” image processing engine. Hybrid O.I.S.+ and five-axis correction are also available. Advanced Highlight Playback function enables quick viewing of recorded images. The Intelligent Index System detects zooming, panning, scene changes and faces in recorded images as “highlights” and then automatically plays back the detected highlight scenes – and scenes that the user has personally selected – according to a set time interval. Both models are compact and lightweight, and feature high optical zooms stabilised by the POWER O.I.S. 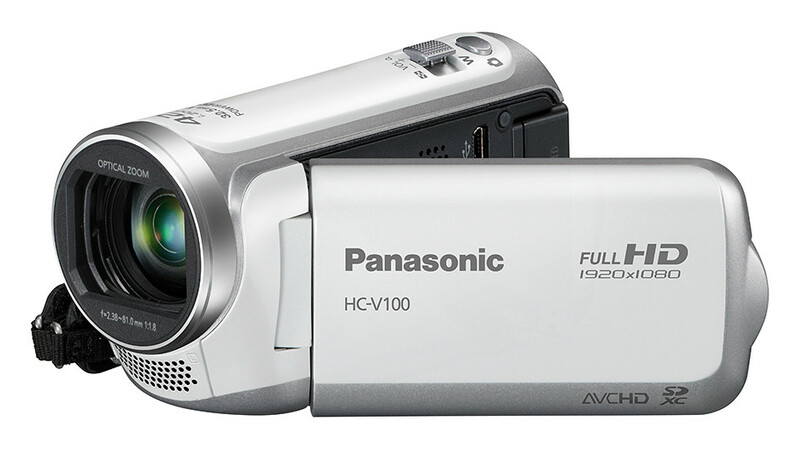 The HC-V100 has an 42x Intelligent Zoom, as well as Power O.I.S., with a continuous recording time of up to 165 minutes on a fully charged battery; while the HC-V10 has an even more powerful 63x optical zoom lens that can be “enhanced” to 70x. For active outdoor use, check out the new waterproof (up to 3m) and dustproof HX-WA20. It can record fast moving sports motion at 240 fps (640×360 px) or 480 fps (320×180 px) for 15 seconds, and then playback in slow-motion at 60 fps at ¼ or ⅛ of the original speed, allowing analysis of golf swings etc. Both the HX-WA20 (16.4 MP) and HX-DC2 (14.4) shoot Full-HD, HDR stills and 5x optical zoom. Panasonic has a line-up of 10 new Lumix compacts comprising 4 from the High Zoom series, 2 from the Tough and Active series, and 4 from the Stylish Casual series. Prices are yet to be announced but they will be available in April. Panasonic LUMIX DMC-TZ30 pays a visit to the Mont Saint-Michel. The slew of 10 new models features optical zoom LEICA DC lens starting from ultra wide angles, ultra-thin aspherical lens system. as well as nano surface coating technology for superior image quality. 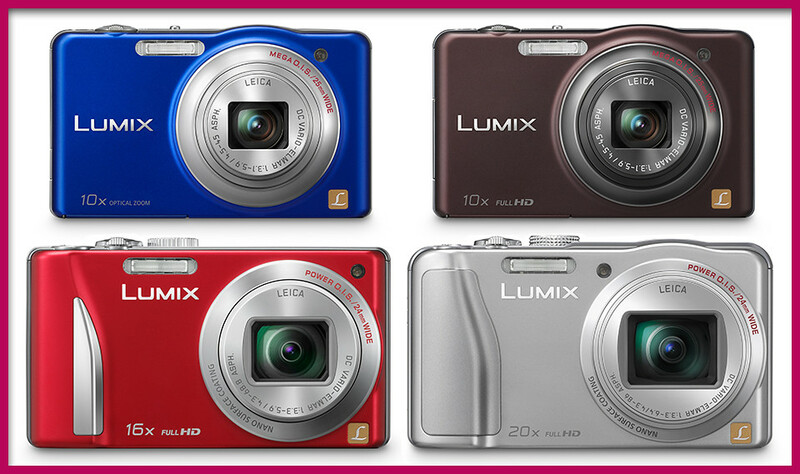 Panasonic LUMIX DMC-SZ1, SZ7, TZ25 and TZ30 from the High Zoom series. The four new travel companions comprises the LUMIX DMC-TZ30 (14.1 MP) and TZ25 (12.1 MP), as well as the slimmer LUMIX DMC-SZ1 (16.1 MP) and SZ7 (14.1 MP). The TZ30 comes with a powerful 20x optical zoom and an upgraded built-in Global Positioning System (GPS) for the avid traveller. Starting from a wide angle of 24mm to the maximum zoom at 480mm, the TZ30 sports a 20x optical zoom LEICA DC lens, up from 16x in its predecessor. The GPS allows geo-tagging for photos taken in 203 countries. The DMC-SZ7 has a 14.1-megapixel MOS sensor with full-HD video recording while the DMC-SZ1 has a 16.1-megapixel CCD sensor and HD?? video recording. The more modest 10x optical zoom starts from a wide angle of 25mm and zooms to 250mm. 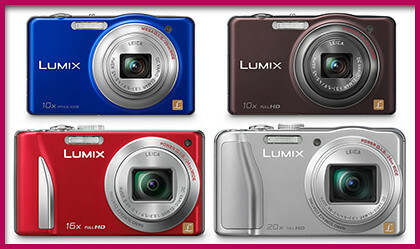 Panasonic LUMIX DMC-FT4 and FT20 from the Tough and Active series. 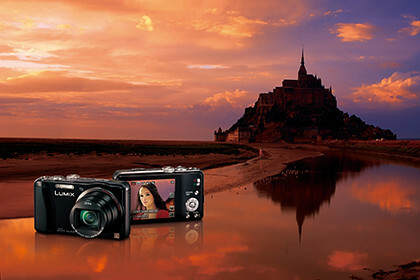 For the more adventurous photographers with a more active lifestyle, there is the LUMIX DMC-FT4 (12.1 MP) and FT20 (16.1 MP). The all-weather DMC-FT4 is fully protected against water immersion (up to 12m), dust and sand, as it is strengthened with inner rubber padding and reinforced glass. It is also freeze-proof, enduring temperatures down to -10 degree Celsius. The FT4 is also equipped with a built-in GPS. Panasonic LUMIX DMC-FH6, FH8, FX80 and S2 from the Stylish Casual series. 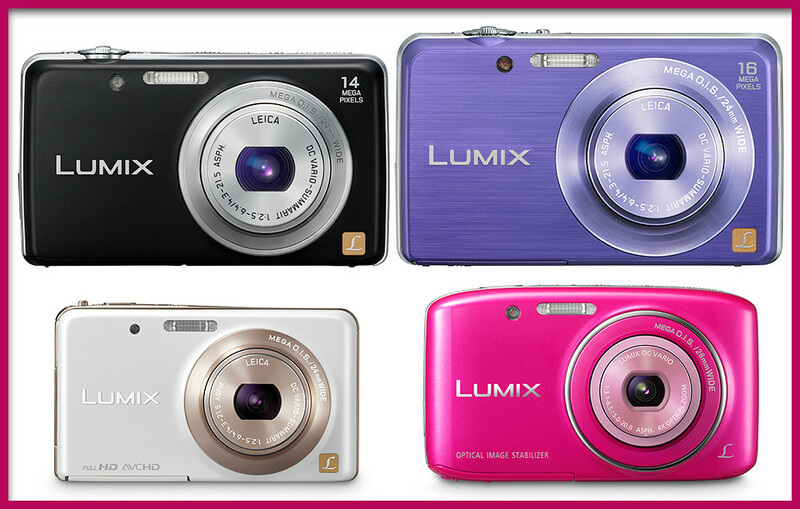 For casual users looking for a stylish and compact shooter, there is the LUMIX DMC-FH6 (14.1 MP), FH8 (16.1 MP), FX80 (12.1 MP) and S2 (14.1 MP). The DMC-FX80, DMC-FH8 and DMC-FH6 are all slim, because of the LEICA DC Vario-Summarit lens rated at F2.5. The 5x optical zoom ranges from 24mm ultra wide-angle to 120mm. The DMC-FH8, DMC-FH6, and DMC-S2 are capable of recording dynamic HD video in 1280 x 720 p at a smooth 25p (PAL) in MP4 (FH8) or Motion JPEG (FH6). 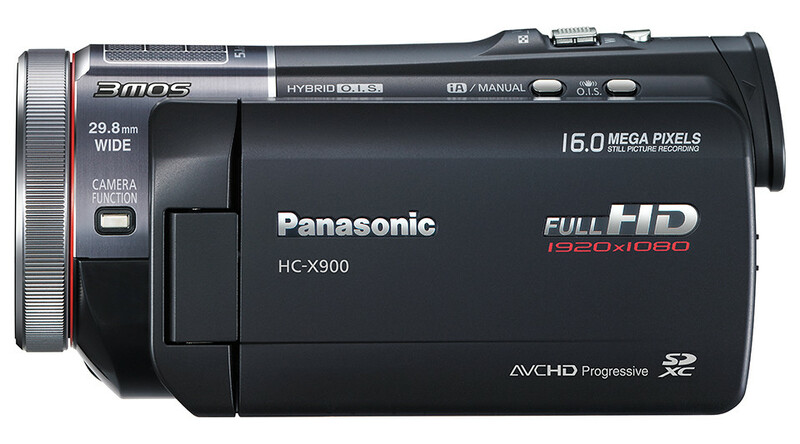 The DMC-FX80 is capable of full-HD recording at 1920 x 1080 50i (PAL) videos in AVCHD (MPEG-4/H.264) format. It’s the first day of 2012. 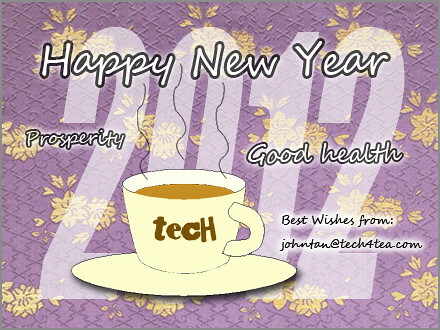 Here’s wishing everyone a prosperous and successful year in 2012!